Disclosure information is information contained in criminal record certificates under the Police Act 1997 as such it is sensitive information that needs to be dealt with carefully and with confidence. Kept only for as along as necessary. It is important that applicants are aware of their rights. To fulfil these obligations organisations enter into agreement with the DBS to ensure the Code of Practice is upheld. Strict guidelines and controls ensure information is protected throughout the process. The information provided in this page is a synopsis of the rights and expectations of those that use the service. 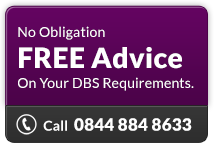 More information about Disclosures can be found on the DBS website. Further information relating to the Code and current matters relating to registered persons and others having an involvement with Disclosure information, is contained in an explanatory guide for registered organisations which is in our secure web site.